Student Wellbeing Services run a personal development programme to help you get the most from your studies and personal life. Some of these are workshops and information or taster sessions – you only need to book where it says so. Others are groups which run over a period of weeks. We know people can feel nervous about joining a group, but feedback we've had from students say it has helped them to feel more supported, more confident and better connected with others. It's sometimes just helpful to know you're not alone in your difficulties. These groups are popular, so when you sign up you'll be asked to make a commitment to coming along regularly. To help develop a safe and secure space, these groups are closed to new participants once they have begun. This does not apply to the Global Buddies International Student Group. To book a place on either group, please call or drop in to the Learning Gateway or email studentwellbeingservices@plymouth.ac.uk. You will need to commit to attending all four sessions. All of us experience stress and anxiety from time to time. For some of us our stress and anxiety levels are more constant and can get in the way of healthy day to day functioning. Our managing stress and anxiety webinar shares some strategies to take with you and practice in your day to day life. Best of all it’s available to watch whenever and wherever you choose. Come along to any of our sessions in the Chaplaincy and de-stress with mindfulness practice! No need to book and no prior experience required. "Do you get caught up in trains of endless thought?" Rosalind Ramage University of Plymouth Counsellor talks about Mindfulness practice and why you might want to come along and try out a session. 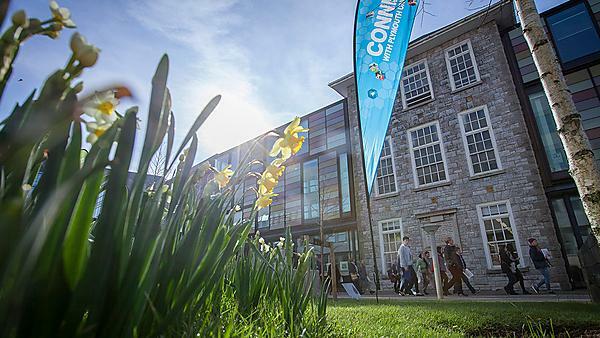 Welcome to the University of Plymouth! Want to make new friends? Want to enjoy chatting to others? Want to make the most out of life in the UK? Then come and join our Global Buddies International Student Group. This group is open to ALL international students at the University of Plymouth. Students often come to us with concerns about their friends and peers. This workshop, developed by Student Minds, will give you the necessary tips and tools to support a friend in need: spotting the signs that your friend is struggling, how to start a conversation and support them and when to signpost for further help – as well as looking after yourself in the process.